Our tinyBrd has very simple and easy to use interface for NRF24L01 radio. This library was bundled with Nettigo tinyBrd Core, add-on for Arduino IDE to program tinyBrd. 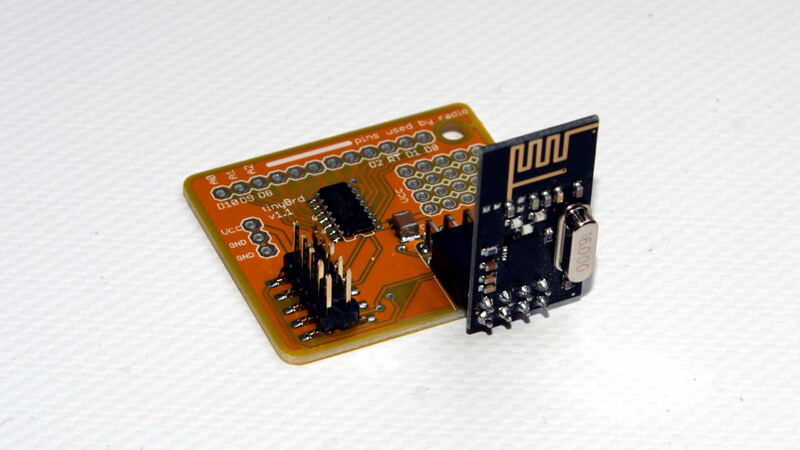 Now we have extracted it as standalone and can be used on Arduino UNO and other boards. On tinyBrd CSN i CE are fixed so there is no need to give them in initalizer. That is not true with UNO, so in former example 8 is CSN pin and 7 i CE pin. 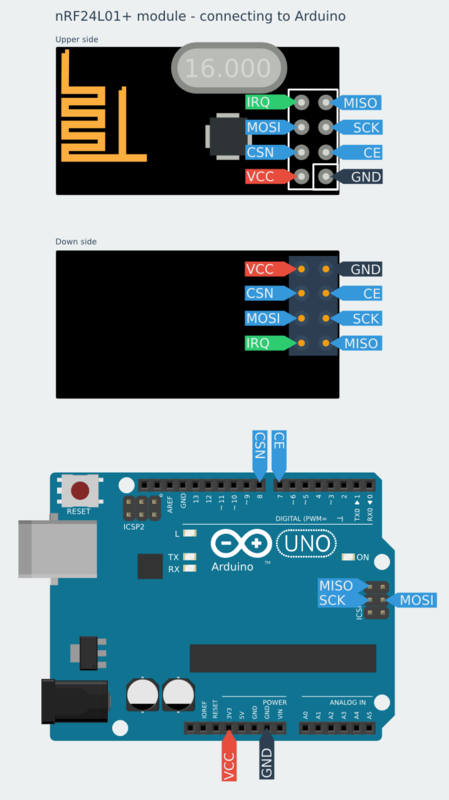 Exactly as it is shown on following diagram – how to connect NRF24L01 to Arduino. We will prepare more easy to use form as .zip file. Also – there are some examples as gists: https://gist.github.com/netmaniac/dfd7eb4f884d58346480. Remember – as for today library bundled in tinyBd Core is still using Radio name, so all code on tinyBrd should use Radio.begin and similar. On UNO use RadioNRF24. In future, we will update tinyBrd Core to use RadioNRF24 name.